Testing X-Large Capacity Facebook Applications on the BlazeMeter's Load Testing Cloud! 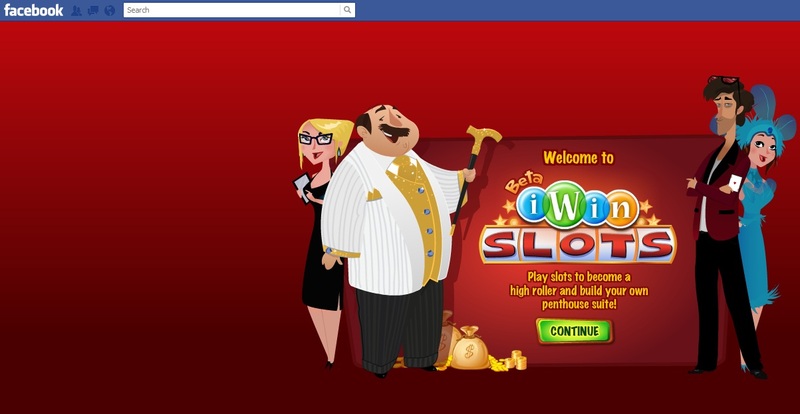 “When developing applications for Facebook you hope the application will go viral and you also fear it will go viral, so capacity testing is critical,” stated Mike Valenty, Technical Director of Double Jump Games, a San Diego start-up in the social game space and makers of Facebook App iWin Slots. Is it really that hard to load test Facebook apps? Really? Um..yes. Testing Facebook applications or any other like type of app: gaming, gambling, forex...all high volume rich apps testing is a challenge with Facebook applications representing a whole new paradigm in performance testing. What makes Facebook apps harder to test than other applications? Facebook apps are often very rich applications, full of fancy flash, heavy coding and served to a high volume of users that have zero tolerance for slow response time or downtime. If one gaming app won't work, the user will soon move to next one. Facebook applications are usually the crown jewels of an expensive campaign and are often the sole criteria for the success or failure of this campaign. So...we can just load test the app before it goes live. What's so special here? Well, according to Mike Valenty "Waiting to provision dozens of test servers and manage the intricacies of distributing large scale load tests is too costly and simply unrealistic in traditional IT environments. BlazeMeter enabled us to get test results fast and effortlessly." How many users? What is a lot? iWin Slots tested 30,000 concurrent users using 110 of BlazeMeter's servers that were dedicated to their cause, on-demand, 24/7 on BlazeMeter's self-service load testing cloud. They had the ability to script diverse and complicated load scenarios. 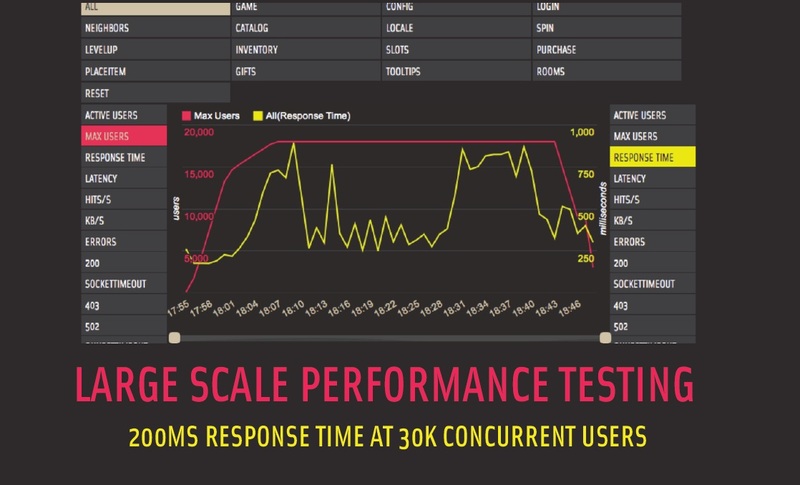 Test it by generating traffic of tens of thousands simulated users. 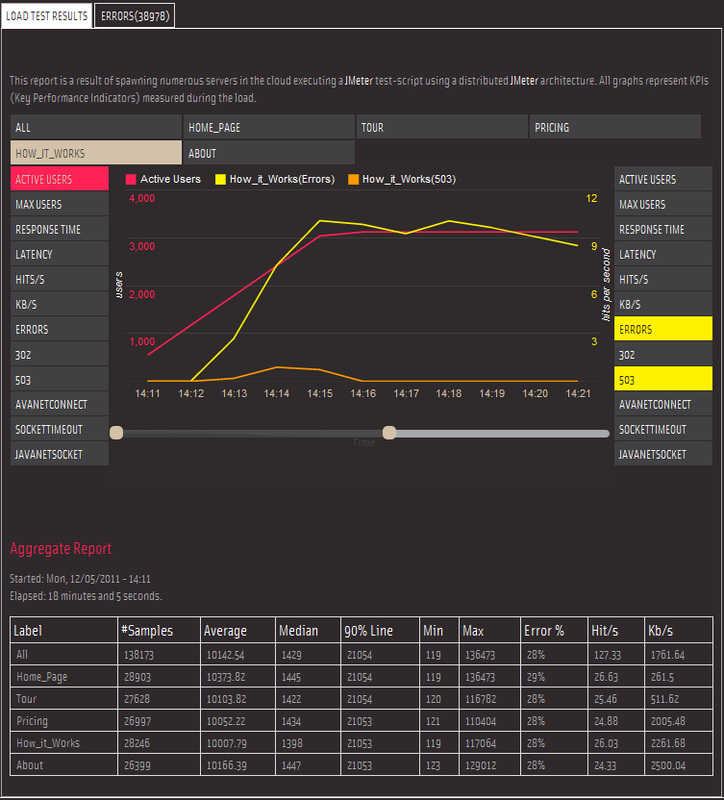 On every run, they received a completely new and dedicated load testing environment in one of seven geographical locations. They were able to run test after test, at different sizes or configurations without allocating or waiting. Since BlazeMeter provides interactive online analytics that guided them to identify bottlenecks, errors and general poor performance level, they were able to fix, re-test and fix again, resulting in a better quality software ready for the hungry Facebook users. BlazeMeter provides users with an extremely strong testing platform. A single test includes computing power comprised of up to 144 CPU cores and half a terabyte of memory. Crazy right? Learn more about our JMeter Supercomputer. BlazeMeter's goal is to provide all developers with a very easy to use load testing platform able to run comprehensive load tests with high volume traffic. I want to go to there. How? A developer simply logs into the BlazeMeter site (*hint- you are on it now), signs up and begins to run tests. A dashboard of beautiful tests and reports await. Script any sort of scenario you can think of. Create high volume tests in a matter of ten minutes. Run the test, fiddle around with the configuration or the geo-location, resize it. Run again. It's almost like playing with a cool, gorgeous Facebook app in itself. And, it's self-service. You just need an internet connection and a browser. Want to see what an extra large capacity test looks like? Click here (get ready to ooh and ahh). It’s free to start. No really. 10 credits, up to 50 users, every month, lifetime! Love it? Sign up and pay per consumption. You can either pay as you go or select a snazzy subscription plan depending on your usage patterns and testing volume.